The term “documentary poetry” has come into fashion in recent years to describe work that “(1) contains quotations from or reproductions of documents or statements not produced by the poet and (2) relates historical narratives, whether macro or micro, human or natural,” according to poet/critic Joseph Harrington. While documentary poetry has precursors dating back to the ancients, many of its most famous examples were written in the twentieth century, such as Ezra Pound’s Cantos, William Carlos Williams’s Paterson, and Charles Olson’s The Maximus Poems. Recent interest in such precursors may be in part why there has been a renewed interest in “The Book of the Dead.” The most frequently cited line of the text comes from an early footnote in which Rukeyser declared: “Poetry can extend the document.” Yet this focus on the footnote overlooks other groundbreaking elements of the poems. “The Book of the Dead” both predates many contemporary characteristics of documentary poetry as well as anticipates continued innovation in the field. In this series of poems, Rukeyser not only shows us how to “extend the document”; she lays bare the documentary act itself, reminding her readers of the limits of representation and calling attention to the historical archive she creates. She offers models for how to investigate place through relational histories and national mythologies, establishing a methodology that predates both Paterson and The Maximus Poems. Finally, she establishes a connection between documentary investigation and activism, anticipating the work of poets such as Mark Nowak, Kaia Sand, and Brenda Hillman. In addition to highlighting Rukeyser’s contributions to documentary poetry, I am also interested in concretizing her legacy by considering Brenda Coultas’s poem series “The Abolition Journal (or, Tracing the Earthworks of My County),” which sketches a complicated history of race in Coultas’s native southern Indiana and neighboring Kentucky. I make no claim that Coultas considers Rukeyser a direct influence. Yet, in what has become a frequently cited example of contemporary documentary poetics published in 2007, Coultas carries out much of the work Rukeyser directly calls for or suggests by example in “The Book of the Dead.” Ultimately, Coultas demonstrates the ways in which Rukeyser provides a model for what is current in documentary poetics. For example, in the 1970s — during a time when “photographs, dispatches and television reports” exposed “America’s racism and called into doubt our war in Southeast Asia” — poet Edward Sanders coined the term “investigative poetics” and created a methodology for poetic inquiry that included instructions for conducting interviews and creating subject files, as well as for developing “high energy verse grids” and “data clusters.” He finds an ancestor in Pound, “thus Olson, thus Ginsberg, thus Investigative Poetry,” establishing a lineage often repeated. Considering Rukeyser alongside the work of Coultas may help contemporary documentary poets access their full inheritance as they utilize documentary sources to create something at once speculative and responsive, social as well as personal. By the time Rukeyser set out to write her long sequence of poems about the Gauley Bridge mining disaster in West Virginia, she had already earned a place as a poet and an activist. At the age of nineteen, she was arrested while protesting the racially charged Scottsboro Boys trial in Alabama. She would witness the start of the Spanish Civil War in Barcelona the same year she traveled to West Virginia to document the mining disaster. In Gauley Bridge, exploitative practices in the excavating and mining of the Hawk’s Nest Tunnel from 1930 to 1931 resulted in the silicosis poisoning and deaths of anywhere from 764 to 2,000 miners, the majority of whom were African American migrant workers. Although a congressional hearing ended in a favorable judgment for the workers, few victims ever received compensation. As a response to the disaster, Rukeyser wrote a series of poems constructed out of testimony from doctors, employees, and victims’ relatives gathered in a congressional investigation, as well as from interviews with survivors and their families. She included descriptions of the town with its “street of wooden walls and empty windows,” as well as excerpts from regional histories, dizzying equations for falling water (the project included the construction of a dam), and a stock market ticker for the project’s parent company Union Carbide. In a note accompanying the series, Rukeyser explains her desire to demonstrate how “theories, systems and workmen … factors, which are in the end not regional or national” created this community and how, in the end, they lead to its devastation (604). In this sense, Rukeyser’s work represents more than “extending the document”; it is an attempt to correct the official record (represented by congressional hearings and coverage in the popular media) and provide the reader with a sense of the connections and complicities omitted from official histories. Critic Tim Dayton explains that poetry offers Rukeyser the advantage of “a richness and density of texture enabling a more challenging or searching treatment of the subject,” as well as allowing for “a fragmented subjective response,” or, more specifically, a polyvocal response to the event. The lyric also offers opportunities for Rukeyser to subtly lay bare the process of documentation itself. But photographs were never published with Rukeyser’s work. Instead, Rukeyser uses the camera to suggest that despite its importance as a tool for documentation, the reality represented in a photograph is subjective in as much as it is mediated through the choices of the photographer. In other words, in Rukeyser’s poem the camera functions as a symbol through which she lays bare the documentary process. Rukeyser draws our attention to the camera as an instrument of documentation and to the photographer who selects a subject, considers composition, focuses a lens, and decides what to include or crop from the frame. As Stott reminds us, “all documentary photographs, like all propaganda and indeed all exposition, are to some extent biased communication.” In this, the photographer shares with the documentary poet an opportunity to shape the reality that is presented. Which documents? And why not include them at all? Why include these … and exclude others? 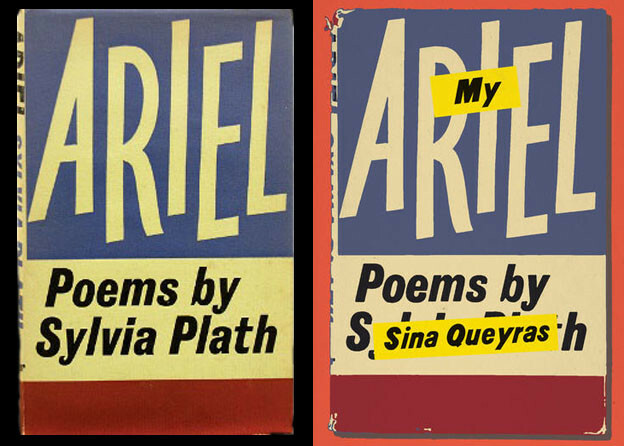 By what authority does the documentary poet (howsoever poetical s/he might be) decide why the front and back covers delimit the book? It seems to me that poetry, precisely because of the generic conventions historically associated with it, forces the docupoet to confront these questions. Otherwise, one produces the very kind of poetry … that unconsciously represses part of the record without altering our experience of either the record or of repression. By including the image of the camera, Rukeyser reminds her readers that they are being presented with a selected representation of a reality instead of the reality itself. Rukeyser makes her selection of sources (or “archive,” as Harrington calls it) — and the creation of the poem — manifest. A foreland, slope to sea and overgrown with roses? Rukeyser addresses her audience: the reader who lives in a “central city” and comes to poetry desirous of the picturesque. By confronting the reader’s expectations, Rukeyser anticipates the work’s tepid reception. For example, reviewer Willard Maas, writing in Poetry in 1938, admired Rukeyser’s “inventiveness” and “intentions, which are ambitious to the point of audacity,” but felt that “the signs of the road lead her into fields that have been more adequately explored and tersely recorded by journalists.” These debates largely continue, a point I will return to later. It is important here to note that Rukeyser was aware of conventional expectations. And by pointing them out, Rukeyser takes responsibility for her archive. Again, what the camera “sees” is not a matter of chance; even to notice the African American man suggests an awareness of those often marginalized. This point of view was not exclusive to “The Book of the Dead.” In The Life of Poetry, Rukeyser affirms her affinity for culture that arises from the margins: “On work gangs, prison gangs, in the nightclubs, on the ships and docks, our songs arise.” In Rukeyser’s viewfinder/poem, the African American man is not “alone” but “deserted” on a street where the doors have closed to him. The image of closed doors suggests a larger condition of negligence born of legalized discrimination and capitalist exploitation, an issue explored throughout the poem series. And yet the man appears square in the center of town. The camera (like Rukeyser herself), placed at crossroads, sees the man. And the poet observes that, like the camera, the man watches, “looking down the track” to see what comes or goes. Thus the African American man and the camera/Rukeyser are featured as observant outsiders, although the African American man is also an economic participant in the society that marginalizes him. The man’s own status as “outsider” is confirmed later in the poem “George Robinson: Blues” that begins, “Gauley Bridge is a good town for Negroes they let us stand / around on the sidewalks if we are black or brown” (87). (This is the Jim Crow South, and there are laws against loitering.) The act of sympathy is important and suggestive as well of the fact that the condition of the African American might act as a viewfinder through which to judge the American character. As the poem develops, the African American man will not only be seen in the viewfinder but be given voice through those sections culled from congressional testimony. This is not without complication. The documentarian speaking for her subjects has a strong precedence in the 1930s. One of the most problematic examples comes from the classic social documentary book You Have Seen Their Faces by Erskine Caldwell and Margaret Bourke-White, a founding example of the documentary book genre common in the 1930s which used text and image to describe a social condition and invoke sympathy if not political action in middle-class readers. — You like the State of West Virginia very much, do you? — I do very much, in the summer time. — How much time have you spent in West Virginia? When juxtaposed with poems written in more traditional forms (for example, the three-line stanzas of the opening poem), the Q&A form reminds readers of the source text as well as draws attention to the constructed nature of the poem, thus also reminding readers of the poet who shapes the work instead of employing the ventriloquism of other documentary books. Elsewhere, Rukeyser quotes from explorers’ journals, settlement checks, and correspondence surrounding the settlement, as well as from the congressional bill itself again, drawing attention to the materiality of the archive. One of the most stunning examples of this comes halfway through the poem “The Dam,” where Rukeyser reproduces the stock ticker for Union Carbide. The ticker appears in a different typeface, creating a typographic break or dam (a “blockage,” as critic Michael Thurston has pointed out), in the middle of the poem’s flow. It also provides a visual pun on the idea of the quote. The line that precedes the ticker reads: “This is the valley’s work, the white, the shining” (101). The numbers force readers to confront the stark economics that drive everything else recorded in the poem; the difference in typography recalls the source for this information. In this sense, Rukeyser is transparent in her attempt to explain what happened at Gauley Bridge — but also gives readers a sense of the “theories, systems” behind the events. Rukeyser not only lays bare her process through the archival gestures of the poem, but she makes evident her potential biases and intent, “owning and reveling in the imaginative desire that drives it,” as Harrington puts it. Ultimately, she creates a more complete picture of what happened at Gauley Bridge and what might be learned from it by situating events against a backdrop of history and activism as well as revealing the process by through which she acquires knowledge of the event. Looking back at Rukeyser reminds us of how important it is to remember that the inclusion of “history” in the poem was (and is still) practiced by many other works unrelated to Olson’s Black Mountain School trajectory. … Reading the work of these poets opens up the field “history,” demanding an awareness of facts as always linked to specific human experience, and an understanding that appropriating these facts for the sake of a poem does not always tell the whole story. Nowhere is Rukeyser more adept at linking history to specific human experience than in “The Book of the Dead.” Throughout the sequence Rukeyser not only invokes history but challenges it, offering a model for how the poet/reader/citizen can actively respond to historical narratives. The actual monument provides a fairly bland description of the place, “Site of the Execution of John Brown Leader of the Raid at Harper’s Ferry,” which would seemingly not infuriate those who still feel sympathies with either side of the Civil War. Rukeyser offers a more opinionated view of the site. Dayton notes that, by “interpolating her words” with that of the marker, as an official historical record, Rukeyser presents both “an official skeletal version of the story of John Brown, and her own more nuanced version.” In that “more nuanced version,” as Dayton suggests, Brown is both activist and martyr. In The Life of Poetry, Rukeyser describes Brown as “that meteor.” She calls the raid itself “that precipitating stroke” that “like the archaic bloody violence of the Greek plays spoke to many lives” (36). In “West Virginia,” Rukeyser’s choice to describe the Harper’s Ferry Raid as “brilliant cloudy” highlights both its success (as a rallying point for the abolitionist cause) and its obvious failure as a raid. (Brown had hoped to use the captured weapons to initiate a slave uprising throughout the South. Instead, Brown and his men were captured. Brown was hanged) But Rukeyser’s “brilliant cloudy” description also references the dualities that will remain throughout the poem between the brilliant power of the dam and the clouds of silica mined in relation to its construction, which killed hundreds if not thousands of miners. In any case, the transcription of the monument illustrates Rukeyser’s ability to do more than cite the official record: it illustrates her ability to respond to it. (Another example of how Rukeyser makes clear her interventions in the archive.) Contesting official histories and rewriting the documentary source is an important tool when confronting source material that is itself part of discourses that legitimated and normalized racial discrimination. Throughout the series, Rukeyser evidences her sensitivity to a history of racial inequity. Whiteness itself has a presence in the poems as material evidence of the dangerous mining practices. While a legacy of discrimination and racism leads to the conditions that produce the mining disaster, ironically, the toxic silica dust does not discriminate. As one survivor explains: “As dark as I am, when I came out at morning after the tunnel at night / with a white man, nobody could have told which man was white” (88). 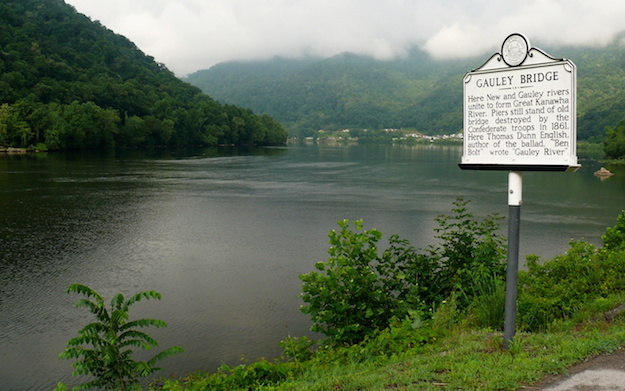 Gauley Bridge historical marker (photo by Ken Thomas). Later in the series, white becomes a metaphor for the force of water as well as economic and social control. In the poem “Power” Rukeyser notes: “The power-house stands skin-white at the transmitter’s side / over the rapids the brilliance, the blind foam” (97). The “skin-white” power-house serves as a gateway holding back the “blind” white foam of water fueling this hydroelectric plant. The “blind” white foam of the water represents those “theories” and “systems,” the free-market economy and Jim Crow South that allow a tragedy such as Gauley Bridge to occur. It is not insignificant that the “power-house,” a source of control and regulation as well as a symbol for Union Carbide (the company that owns the dam and uses the silica in their industrial processes), is not just white but white-skinned. It is not coincidence that those who benefited from this work were a corporation run by white men, while those that suffered most were African American. The Fourteenth Amendment, originally written to protect the rights of African Americans, was used to give individual rights to corporations disproportionally owned by white men. The prioritizing of white-owned corporations over the rights of non-white citizens (in the case of Gauley Bridge) is an example of the kind of racial prejudice that became foundational to the local project of building a dam. “This is the valley’s work,” Rukeyser writes later in the poem, “the white, the shining” (101). What force might counteract the raw power of corporate racist America? In Rukeyser’s poem, the answer comes in the form of the activist documentary poet. Like the storms that originate “not in clouds” justice will not be brought from above — from corrupt institutions — but will rise from the ground, from the grassroots. There is a metaphoric and homophonic level to the stanza with its image of electricity in the form of a lightning bolt liberating the power of water, an act simultaneous with the old abolitionist walking from the tunnel to free consciousness and change opinion. The word “strikes” alludes to organization of workers, John Brown’s organizing against oppressive institutions of slavery and power, as well as to a lightning strike of energy. But the poem does not only aim to stir workers to unionize. Instead, its most excited plea asks readers to become aware of both current examples of injustice as well as the historical contexts that surround them. Rukeyser takes up Brown’s role as instigator when she asks her readers to do what she has done. She explains: “Defense is sight; widen lens and see / standing over the lands of myth and identity / new signals, processes.” Rukeyser calls her readers to action by asking them to look beyond national mythologies and record both injustice and the mechanizations that fuel it. Here she elevates the documentary to activism, to the notion that seeing will make a difference. She focuses on those often overlooked (miners, workers, and minorities), and she calls upon her readers to do the same. In the final poem she asks: “What three things can never be done? / Forget. Keep silent. Stand alone” (107). Her wide-angle lens encompasses a web of connections and complicities in the disaster, something a mere photograph cannot do. Framing her poem with references to John Brown, she works to extend those connections and complicities beyond corporate misconduct to a national legacy, a failure of “myth and identity.” She asks readers to identify with the legacy of Brown’s activism and to never forget the legacy of oppression. In addition, Rukeyser’s work establishes the systemic results of this oppression. She shows the connection between the numbers of the ticker tape and the cornfield turned to a burial ground, she links the death of these African American migrant workers to corporate profit margins. She places the camera between herself and her subjects to remind us to see. But she goes beyond the act of recording to suggest that one must interrogate, even rewrite, that which is literally carved in stone, be it law or history. She asks her readers/poets to question their histories and mythologies, offering a more active way of interacting with documentary materials both through the connections she creates between local events and national economies as well as by responding to biases inherent in conventional historical narratives. Some seventy years later, many poets have taken up Rukeyser’s activist charge in a variety of innovative ways often with a global reach. 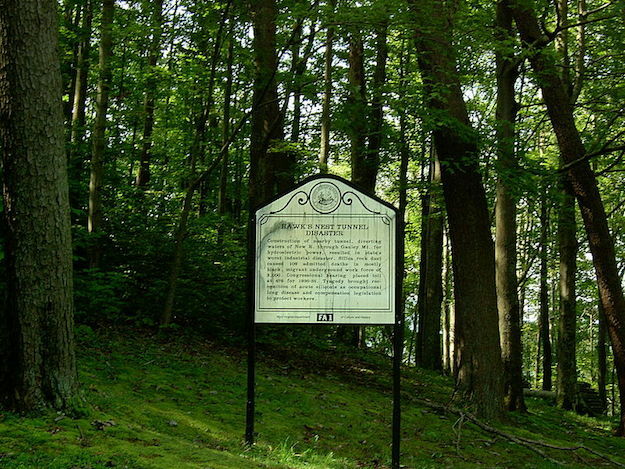 Mark Nowak, Rukeyser’s closest descendent thematically, writes about a contemporary mining disaster that claimed the lives of twelve men (most through a brutal asphyxiation) in Sago, West Virginia. In Coal Mountain Elementary, Nowak interweaves state testimony from the surviving miners and rescue teams with the American Coal Foundation’s curriculum for schoolchildren, newspaper accounts of mining disasters in China, and photographs (Nowak calls it “sampling”). The result is a chilling portrait of a global system of danger and exploitation that in the words of the widow of one Chinese miner is “a job for living people working in hell.” Nowak extends that activism off the page in his work organizing and leading creative writing workshops for laborers. In Remember to Wave, Kaia Sand turns historical investigation into collective exploration by undertaking walks and leading groups on tours through the site of the current Portland Metropolitan Exposition Center, as a way to reflect on its history as a Japanese American internment camp. Sand’s book includes both maps of the area along the Columbia River as well as collages of poetry, photographs, and images of objects found on the site. Sand literally stitched material together in collages, often typing directly onto found materials from a portable typewriter she carried with her on these walks. These collages, faithfully reprinted, give the book the feel of a scrapbook, a work of individual labor, in opposition to the regular typography and design of traditional history books, suggesting another way to challenge the manner in which conventional histories have been written. For her part, Brenda Hillman turns documentary poetics into “Reportorial Poetry, Trance and Activism” in a section from her collection Practical Water. “Reportorial poetics,” Hillman explains, “can be used to record detail with immediacy while one is doing an action and thinking about something else.” Hillman creates poems out of her experience protesting against the wars in Iraq and Afghanistan as a member of the antiwar group Code Pink. For example, in the poem “In a Senate Armed Services Hearing,” she records: “the prickly intimate hairs … behind (the General’s) ears”, a fly circling the room, and a vision of the goddess Ishtar from Babylon. Hillman provides a view to the bureaucratic machinations that perpetuate war and offers an example of how we might refuse the narratives that are created about these conflicts. While the work of these poets offers many similarities to Rukeyser’s project and her call to “widen the gaze,” I want to look at one recent collection of documentary poetry by Brenda Coultas that exemplifies Rukeyser’s legacy in its reflections on the documentary process, its treatment of the legacy of national conflict, and its activism. Brenda Coultas takes up Rukeyser’s project of interrogating “myth and identity” in the “The Abolitionist Journal (or, Tracing the Earthworks of My County),” a series of interrelated poems from her collection The Marvelous Bones of Time. In addition to “widening the lens,” she narrows her focus. Coultas was born in the slave-holding state of Kentucky but raised across the border in the “free” state of Indiana. An epigraph from Abraham Lincoln makes clear her intent to understand the legacy of “the very state where grew the bread / that formed my bones.” She embarks on her investigation with the question: “Are there any abolitionists hanging from my family tree?” (17). While she wants to identify with abolitionists from Indiana’s past, with the great emancipator Abraham Lincoln, she does not shy away from the racism of her local history. “I thought of Klansman when I thought of Indiana,” Coultas writes (24). Identification can be complicated in a nation that scours much of its past from the landscape. Like Rukeyser, Coultas draws attention to the commemorative process itself as well as to its omissions. Like Rukeyser, she excavates while illuminating the process of excavation: “A hundred years hence, will there be markers commemorating where we had borrowed a book?” (23). She references the Underground Railroad, noting what exists now on sites that used to be stops on the journey to freedom, in effect noting what has not been memorialized. Like Rukeyser with her camera, Coultas documents the documentary act and makes clear the difficulties of trying to comprehend a past that has not been made part of larger local or national history. Coultas reminds us that it is “hard to find a path through the fields 100 years later” (17). So Coultas makes copious lists of what remains in municipal archives, on plaques, in histories of the Underground Railroad, slave narratives, and genealogies, as well as from her own archive and memory. One poem, titled “The Executives of the Anti-Slavery League in Neighboring Counties,” lists the names of local abolitionists; another details a list of items Coultas bought at a market in 1976. The juxtaposition between the information found in a historical document and what one can imagine may have been a scrap of paper found in Coultas’s childhood home is provocative. It mimics Coultas’s overall strategy to insert herself into her investigation/documentation of local and national history. By allowing us to peer into her personal archive, Coultas gives her readers the opportunity to draw our own conclusions about the class, the ethnicity, the ideological positions she inhabits, and how that might influence her selection of documents. If nothing else, the inclusion of the shopping list acts as a stark reminder — a monument — to subjectivity. I (am a color that is an uneven beige; have a face with reddish tones) read about a man who is described as colored and free (19). Elsewhere, Coultas writes: “If in the document, she is described as an old darky, then I might be described as an old whitey” (19). Unlike Rukeyser, who takes up a post behind the camera’s viewfinder, Coultas sets herself in the center of her poems. And out of her desire to learn about her state’s and her family’s relationships to slavery, Coultas begins to unmask a set of assumptions about herself, the place she came from, as well as the relationships that can be gained from such an understanding. Here she moves away from taking up the voice of the oppressed to take a look at her own relationship to oppression. In fact, one of the few African American voices in the poem actually contradicts Coultas’s initial impulse to disparage Kentucky, a former slave state. An African American man whom Coultas encounters on a flight explains that he had moved his family from Los Angeles to Kentucky because it was “heaven” (53). But while Coultas is careful not to speak for the oppressed, she finds it difficult to identify with the abolitionists and other Civil War heroes. When Coultas writes, “I did not marry Mary Todd, although I have always admired her” (16), it reads as a joke and a reminder. Identification goes only so far. The series ends with “In a Gaze,” a listing of what Coultas learned from her excavation. Here she writes: “What did I learn about my kinfolk? / Petroglyphs mostly / divided as the bluegrass” (56). Coultas learns that there is both a “slaveholder” and a Union soldier hanging from her family tree. The poem concludes with an image of her native land as it looks from an airplane. From her window view the land appears like “a rough crazy quilt” with “elaborate chicken scratchings,” images that suggest the randomness of an item created out of necessity: a patchwork quilt sewn from scraps, a note scrawled hastily. But the poem’s final gesture moves to an image of the land as she has seen it “inscribed in the plat book of 1815 / a European geography imposed on native curves” (56). A plat book representing the legal ownership of lands in a given area represents the archive or a traditional history; it offers a brusque contrast to the “rough crazy quilt” or “chicken scratchings” of Coultas’s investigation. But the contrast highlights Coultas’s own desire to resist the notion of imposing an “order” upon the data she’s found. In the end, the reader is encouraged to appreciate the work not for its conclusions, but for the process of investigation, the willingness to witness that which could be admired and could be admonished in her local racial history. As Patrick James Dunagan writes in a review, “By sorting out her own understanding of the historical record via her experience with it, as both text and lived fact, she opens the larger opportunity for a cultural sorting.” The most important map in Coultas’s project is the one she leaves behind for those who might follow her in their own investigations. In addition to those mentioned, there is noshortage of contemporary documentary poets and no limit to documentary innovations, some of which Rukeyser pioneers. Perhaps like Rukeyser’s generation, caught between two wars and economic upheaval, many poets today turn toward documentary forms as a mode of resistance and activism. As Prevallet suggests, “Instead of buying gas masks and digging underground shelters (or moving to Canada), I turn my rage and confusion towards poetry” Rukeyser shows us that poetry can do much more than document. The activist documentary can contextualize events nationally and globally as well as explore and challenge national, local, and personal histories. Despite the boom in documentary interest, the old debates remain. Much written these days about documentary poetics boils down to a defense. And in trying to defend those who would “extend the document,” many critics do not account for the various ways the document might be stretched, pulled, cut, sampled, marshaled, and limited. Beyond defending the documentary impulse, we might consider the ethics behind the works: are the voices of others used in an act of ventriloquism to serve an argument or to give voice to suppressed perspectives? Does history provide context or become utilized to prove a point? What kind of activism does the work provoke or incite off the page? Maybe one way to begin to see these nuances is to take a fresh look at our ancestors. In a section of The Life of Poetry entitled “Backgrounds and Sources,” Rukeyser explains that she sees the “truths of conflicts and power over the land, and the truths of possibilities” (64). She goes on to list a variety of locations from those historically remembered as sites of commemoration as well as sites of tragedy. She includes both public memorials and those unremarked locales that serve as reminders of personal experiences. She concludes the passage by declaring: “Many of our poems are such monuments. They offer the truths of outrage and the truths of possibility” (66). If the poem is a monument, it cannot simply reproduce the words of a historical marker such as the one Rukeyser found at Harper’s Ferry. Following Rukeyser’s example, the poem is made when the monument is defaced, when we have written into it, breaking syntax to allow space for more nuanced meanings. The best homage to Rukeyser is not only to keep her legacy alive, but to ensure our criticism of her work continues to tell the whole story of her innovations, to formulate a web of connections between the issues and events that inspire our documentary poems and their literary antecedents. 1. Joseph Harrington, “Docupoetry and Archive Desire,” Jacket2. 2. Muriel Rukeyser, “The Book of the Dead,” The Collected Poems of Muriel Rukeyser, ed. Janet E. Kaufman and Anne F. Herzog (Pittsburgh: University of Pittsburgh Press, 2005), 604. 3. William Stott, Documentary Expression and Thirties America (New York: Oxford University Press, 1973), 4. 4. Shoshana Weschler, “A Mat(t)er of Fact and Vision: The Objectivity Question and Muriel Rukeyser’s ‘The Book of the Dead,’” Twentieth Century Literature 45, no. 2 (Summer 1999): 125. 5. Kristen Prevallet, “Writing Is Never by Itself Alone: Six Mini-Essays on Relational Investigative Poetics,” Fence 6, no. 1 (Spring/Summer 2003). 6. Eileen Myles, “Fear of Poetry,” The Nation, April 14, 1997. 7. Stott, Documentary Expression and Thirties America, 321. 8. Ed Sanders, Investigative Poetry (San Francisco: City Lights, 1976), 10. 9. Rukeyser, “The Book of the Dead,” 77. 10. Tim Dayton, “Lyric and Document in Muriel Rukeyser’s ‘The Book of the Dead,’” Journal of Modern Literature 21, no. 2 (Winter 1997–1998): 225. 11. Quoted in Stott, Documentary Expression and Thirties America, 215. 13. Willard Maas, “Lost Between Wars,” Poetry 52 (May 1938): 101 and 110. 14. Muriel Rukeyser, The Life of Poetry (Ashville, MA: Paris Press, 1996), 90. 15. Stott, Documentary Expression and Thirties America, 219. 17. 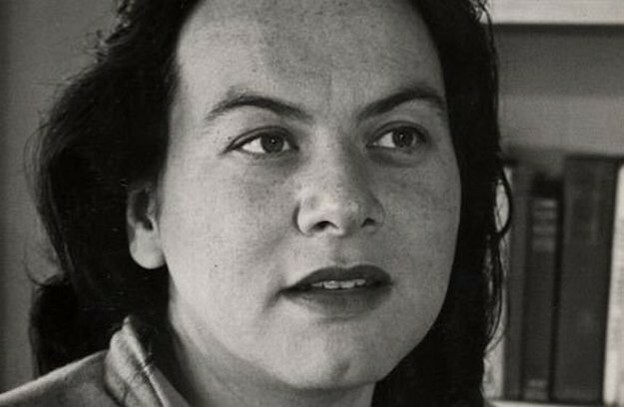 Michael Thurston, “All Systems Go: Muriel Rukeyser’s ‘The Book of the Dead’ and the Reinvention of Modernist Poetics,” in “How Shall We Tell Each Other of the Poet?”: The Life and Writing of Muriel Rukeyser, ed. Anne F. Herzog and Janet E. Kaufman (New York: St. Martin’s Press, 1999). 18. Rukeyser, The Life of Poetry, 61. 19. Jane Cooper, “Forward: Meeting-Places,” in The Life of Poetry, by Muriel Rukeyser (Ashville, MA: Paris Press, 1996), xvii. 21. Dayton, “Lyric and Document in Muriel Rukeyser’s ‘The Book of the Dead,’” 230. 22. For a smart interrogation of the limits of the activist documentary poet’s powers, see Juliana Spahr and David Buuck’s An Army of Lovers. 23. Mark Nowak, Coal Mountain Elementary (Minneapolis, MN: Coffee House Press, 2009), 10. 24. Kaia Sand, Remember to Wave (Kaneʻohe, HI: Tinfish Press, 2010). 25. Brenda Hillman, Practical Water (Middletown, CT: Wesleyan University Press, 2009), 33. 27. Brenda Coultas, The Marvelous Bones of Time: Excavations and Explanations (Minneapolis, MN: Coffee House Press, 2007), 14. 28. Patrick James Dunagan, “Books by Jennifer Bartlett, Brenda Coultas, Jennifer Scappettone, and Heidi Lynn Staples,” Galatea Resurrects 10. 29. George Szirtes, “Missing Dates/Sleeve Notes,” Poetry 191, no. 1 (2007): 39. 30. Nada Gordon, “On Docu-poetry: A Febrile Meditation,” Ululations 20 (February 2009).